Nikon India Private Limited reserves the right at its sole discretion, to change, modify, add to, remove or otherwise edit these Terms and Conditions of Use, at any time by updating this posting on our Nikon Owned Websites. Changes to these Terms and Conditions of Use are effective at the time they are posted. 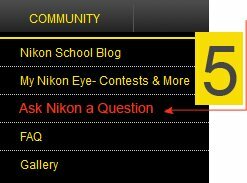 For this reason it is your responsibility and Nikon encourages you to check these Terms and Conditions of Use for changes each time you visit any of our Nikon Owned Websites. Your continued use of a Nikon Owned Website following the posting of changes will mean that you accept and agree to the changes. As long as you comply with these and any updated Terms and Conditions of Use, Nikon grants you a personal, non-exclusive, non-transferable, limited privilege to enter and use our Nikon Owned Websites. You may use information on Nikon products and services purposely made available by Nikon for downloading from any of our Nikon Owned Websites, provided that you (1) do not remove any copyright and/or other proprietary notice language, (2) use such information only for your personal, non-commercial, informational purpose and do not copy or post such information on any networked computer or broadcast it in any media, (3) make no modifications to any such information, and (4) do not make any additional representations or warranties relating to such information. Except as expressly provided in these Terms and Conditions of Use, no part of any Nikon Owned Website and no Content may be copied, reproduced, republished, uploaded, posted, publicly displayed, encoded, translated, transmitted or distributed in any way to any other computer, server, website or other medium for publication or distribution or for any commercial purpose, without Nikon's prior express written consent. Nikon Owned Websites may provide links to other websites which are not owned by Nikon and are owned by companies or parties which are either affiliated or unaffiliated with Nikon ("Non-Nikon Owned Websites"). These links to Non-Nikon Owned Websites are provided to you solely as a matter of convenience and for informational purposes. 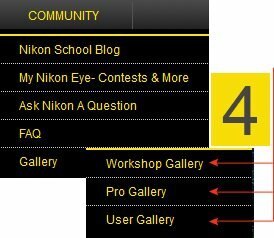 If you access any of these links, you will no longer be on a Nikon Owned Website. 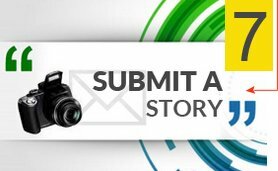 We do not endorse or make any representation about Non-Nikon Owned Websites, and we are not responsible for and we disclaim all warranties, express or implied, as to the privacy, content or security of such Non-Nikon Owned Websites. You are responsible for reviewing, and we encourage you to review the Policies and Terms and Conditions of Use of such Non-Nikon Owned Websites. Under no circumstance, are you permitted to send or submit to or from any of our Nikon Owned Websites any Information that is defamatory, obscene, pornographic, libelous, offensive or otherwise in violation of any laws. By using any of our Nikon Owned Websites, you acknowledge and agree that internet transmissions are never completely private or secure and that any Information you send or submit to any of our Nikon Owned Websites may be intercepted and read by third parties, unless there is a specific indication or notice that a particular transmission ( e.g., credit card information) is encrypted. Any products and services displayed on any of our Nikon Owned Websites are intended for sale in India. Displaying such products and services does not mean and should not be interpreted to mean that such products and services will be available at any given time. Nikon does not represent or warrant that any of our Nikon owned websites or any Of the content on any of our nikon owned websites will be error-free or uninterrupted, Or that any defects will be corrected, or that your use of any of our nikon owned Websites will provide specific results. 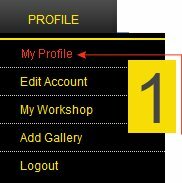 The nikon owned websites and the content are delivered on an "as-is" and "as-available" basis. 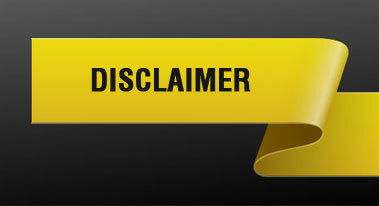 All information Provided on any of our nikon owned websites is subject to change without notice. Nikon cannot ensure that any software or data you download from any of our nikon Owned websites will be error-free, free of viruses or contamination or destructive Features. Nikon disclaims all warranties, express or implied, including any warranties Of non-infringement, merchantability and fitness for a particular purpose. You assume All responsibility for your use of any of our nikon owned websites and any linked Non-nikon owned websites. 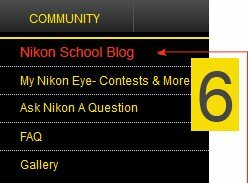 Your sole remedy against nikon for dissatisfaction with Any of our nikon owned websites or any content is to stop using such nikon owned Websites or such content. Under no circumstances, including but not limited to negligence, shall nikon be Liable for any special, incidental, direct, indirect, punitive or consequential Damages that result or arise out of your use or inability to use any of our nikon Owned websites, any content, services and functions even if nikon or an authorized Nikon representative has been advised of the possibility of such damages. Applicable Law may not allow the limitation or exclusion of liability or incidental or consequential Damages, so the above limitation or exclusion may not apply to you. Even if your Remedy fails of its essential purpose in no event shall nikon's total liability To you for all damages, losses, and causes of action (whether in contract, tort, Negligence, or otherwise) exceed the lesser of the amount paid by you, if any, for Accessing any of our nikon owned websites. You agree to indemnify, hold harmless and defend nikon, its parents, affiliates, Licensors, licensees and their respective officers, directors, employees, agents, Successors and assigns (collectively "indemnified parties") from and against Any and all claims, damages, losses, costs and liabilities (including without limitation Reasonable attorneys' fees and court costs) arising out of or related to (i) any Breach of these terms and conditions of use by you or anyone acting under your direction, Authority and control, or (ii) your use of any of our Nikon owned websites. You agree not to use, download, export or re-export any Content on any of the Nikon Owned Websites.